This latest revamp project might just be my favorite. 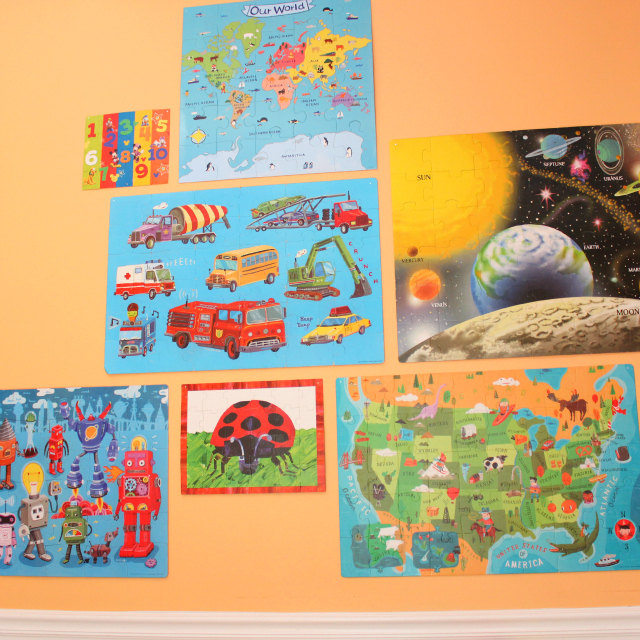 I transformed several of Stella’s old puzzles into a gallery of wall art for the girls’ new playroom. To the extent possible, choose a set of puzzles that makes sense together, whether it is a complementary color palette or similar theme (e.g., all maps, all animals, etc.). I’m particularly fond of the puzzles from Crocodile Creek. Try to find a variety of sizes, especially if you’re going for a gallery style grouping. Hit up local thrift stores for additional puzzles to mix in. I actually get most of Stella’s puzzles at Salvation Army for $1-$2 a piece. 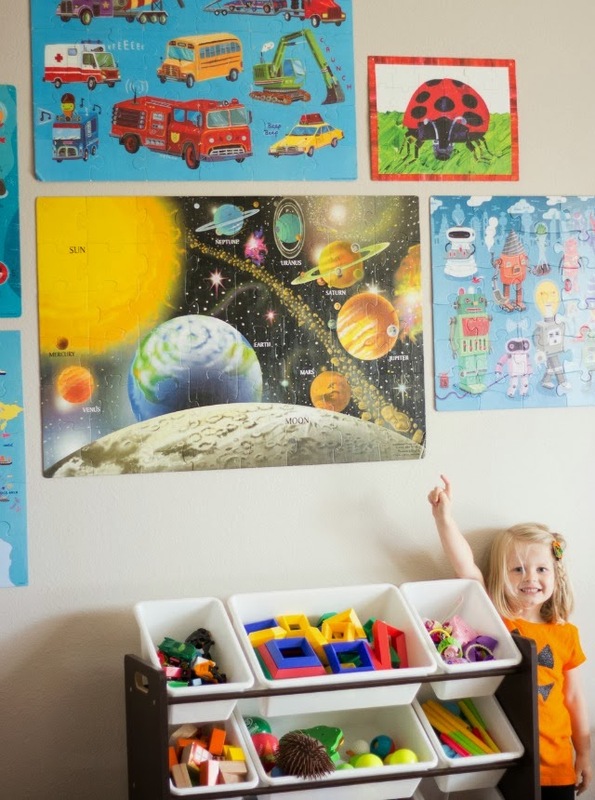 This is an important tip – get permission from your child to use their puzzles! 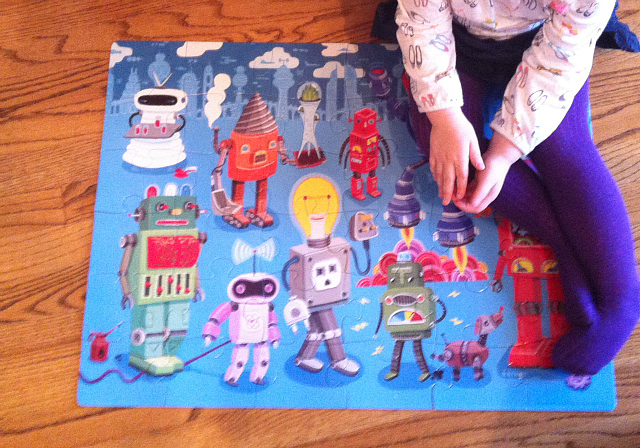 While Stella had put most of the puzzles together so many times she didn’t mind me putting them up on the wall, I did purchase this new robot puzzle that she put together just once before I gave it the Mod Podge treatment. Let me tell you, she was not happy with me! Have your child put the puzzle together one last time! 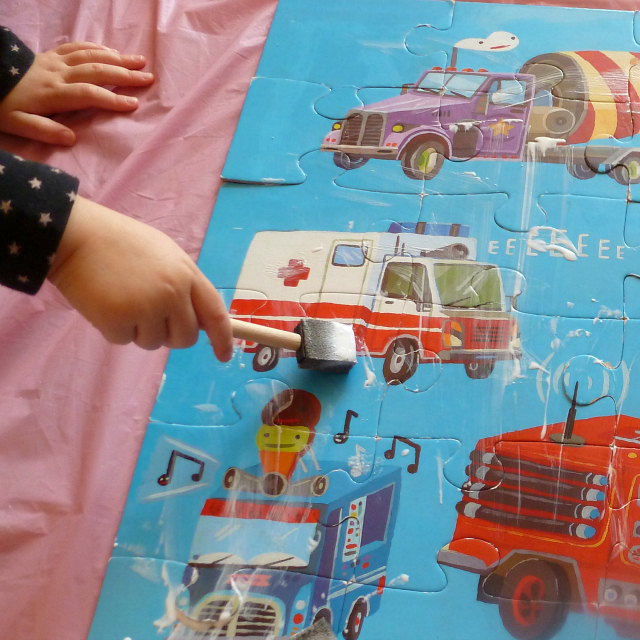 Apply 2 coats of Mod Podge to the front of the puzzle with a small paint brush, letting it dry 15 minutes between each coat. If needed, apply 1-2 coats to the back of the puzzle. 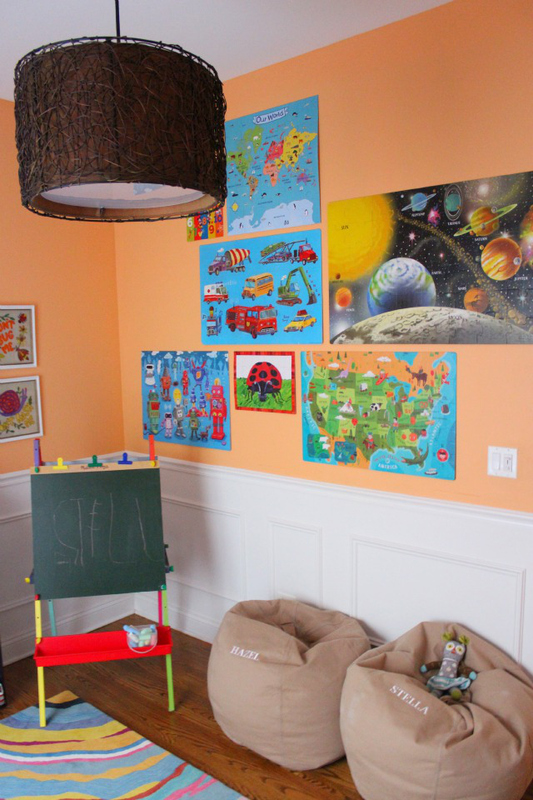 What do you think, would you try this with your child’s puzzles? 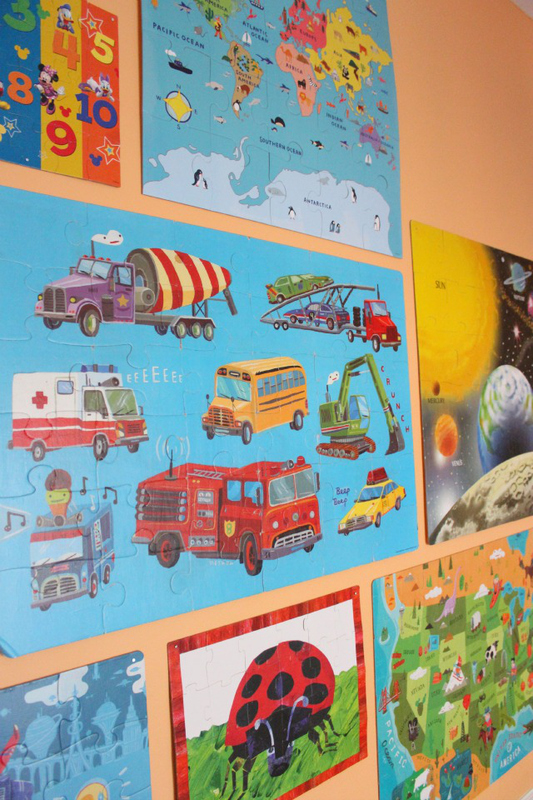 Oct. 2013 Update – the puzzle wall came with us to San Antonio and is now decorating the girls’ new playroom!